I say this because it wasn’t until just recently that I learned about it myself. 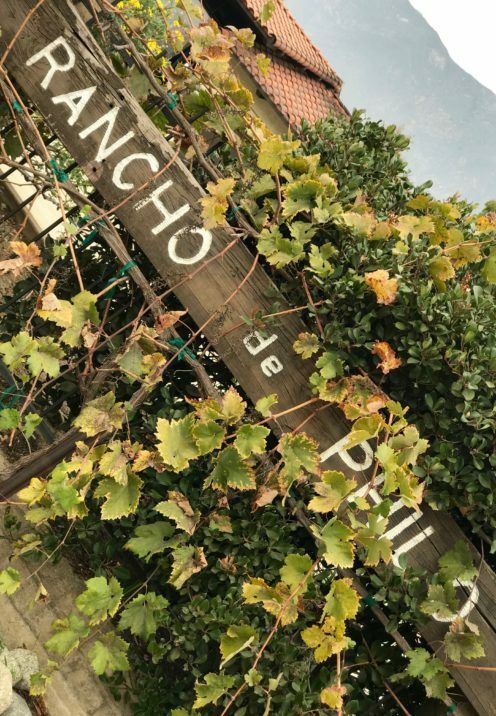 It’s another one of Southern California’s best kept secrets, and it’s called Rancho de Philo Vineyards & Winery. 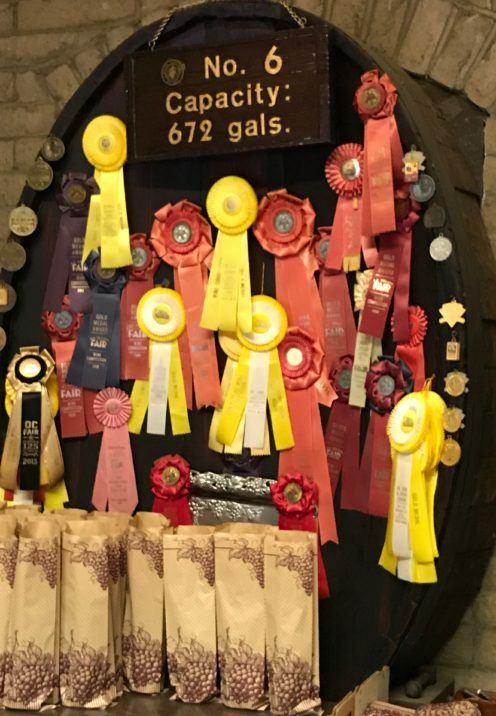 Located in Alta Loma, a small foothill community near Rancho Cucamonga, Rancho de Philo does one thing: make delicious, award winning, Triple Cream Sherry. 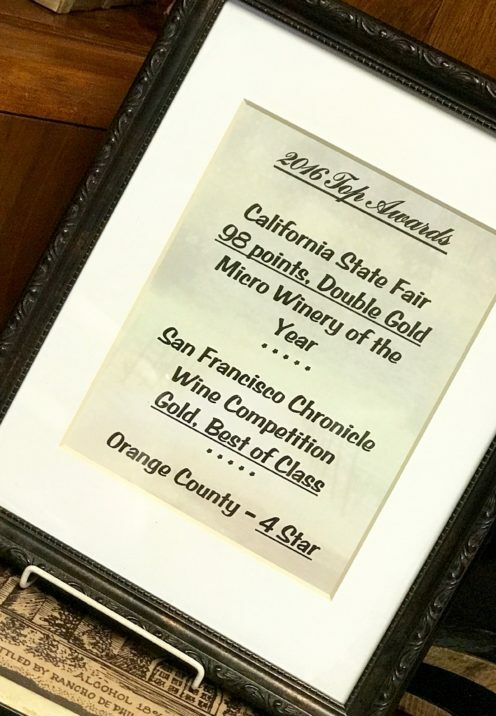 Rancho de Philo was recently named the Top Micro-Winery in California, an impressive distinction. 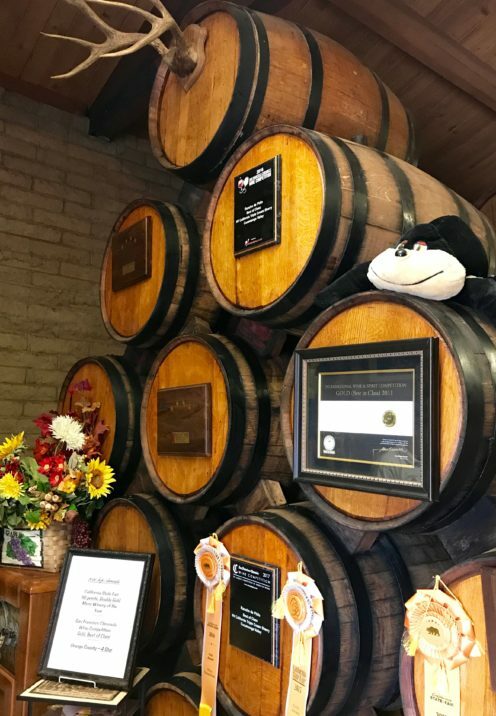 The boutique winery opens its doors to the public only once a year during the second week in November. 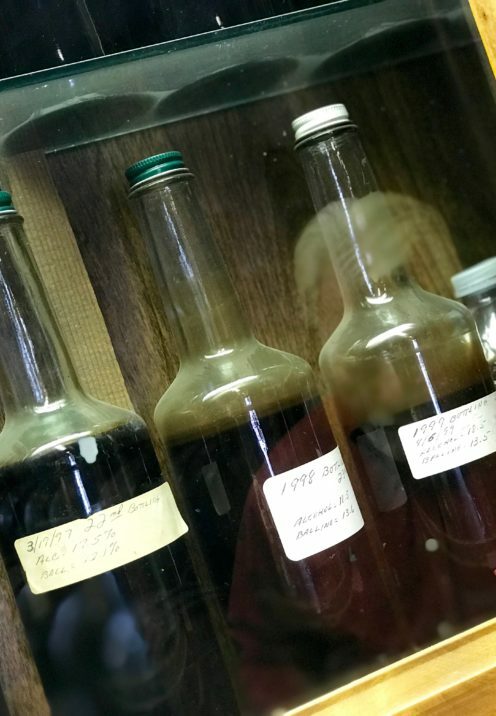 They bottle only 350 cases of sweet cream sherry each year. And, it only takes a few days for the winery to completely sell out their annual production. Thus, there is a very small window when lucky visitors can purchase this Spanish style delicacy. On Sunday Brad and I made the 1 hour drive down the mountain and paid them a visit. We met 2nd generation owners, Janine & Alan Tibbetts, who shared with us a tasting of 3 vintages of their delicious sherry. 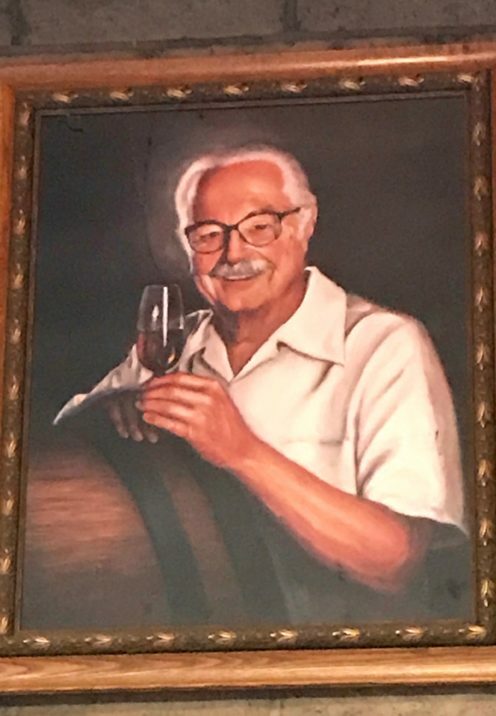 We learned that the winery was founded in 1974 by Janine’s father, Philo Biane. Having retired as President of Brookside Vineyard Company, Philo was looking for something to do in his retirement. So, after an inspirational trip to Spain where he learned the art of Sherry making, Philo returned to California and started this venture. 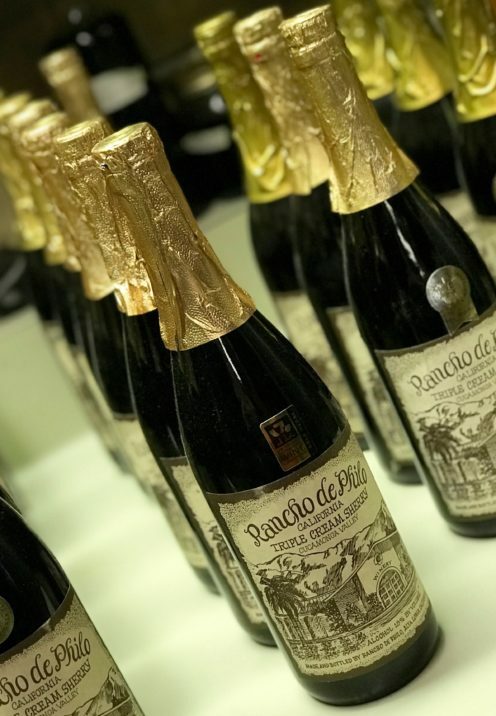 Now, 57 years later, Rancho de Philo holds the distinction of being one of California’s oldest wineries. 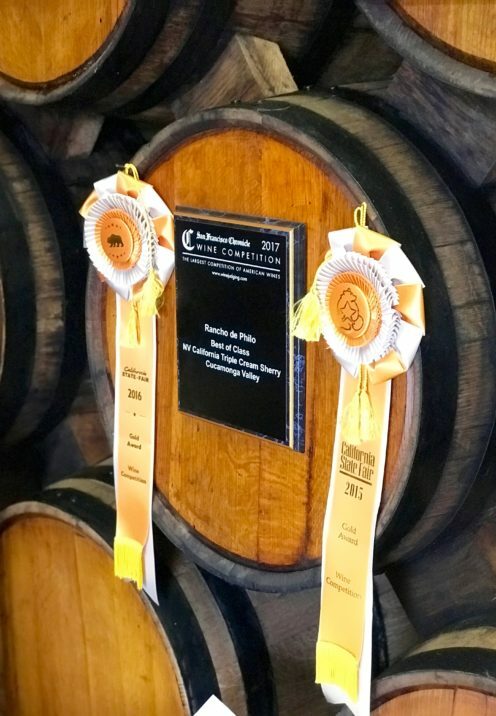 Still made in the traditional Spanish style, Rancho de Philo Triple Cream Sherry is produced by utilizing 15 barrels of sherry, blending wines aged between 12 to 57 years old. Every bottle they sell is a blend of every vintage ever produced in the history of the winery! This is achieved by way of an aging process called “Solera”. 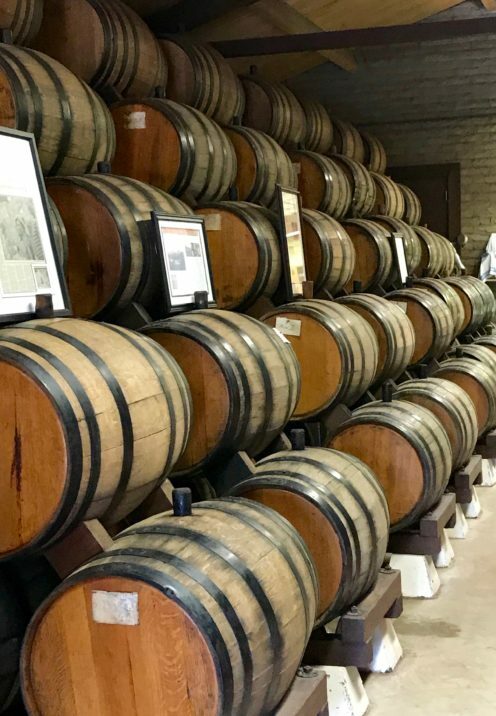 In this process the wine from each vintage is fractionally blended in such a way that the finished product is a mixture of all the prior years. The average age gradually increases as the process continues over many years. This method ensures a certain homogeneity of product over different vintages, hopefully insuring a reliable style and quality of wine over time. 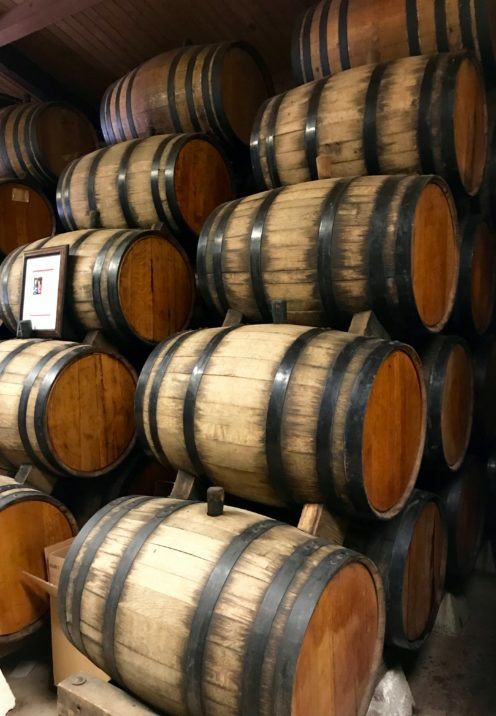 It’s a very labor-intensive process where the wine is transferred from barrel to barrel, top to bottom, from a total of 15 barrels. 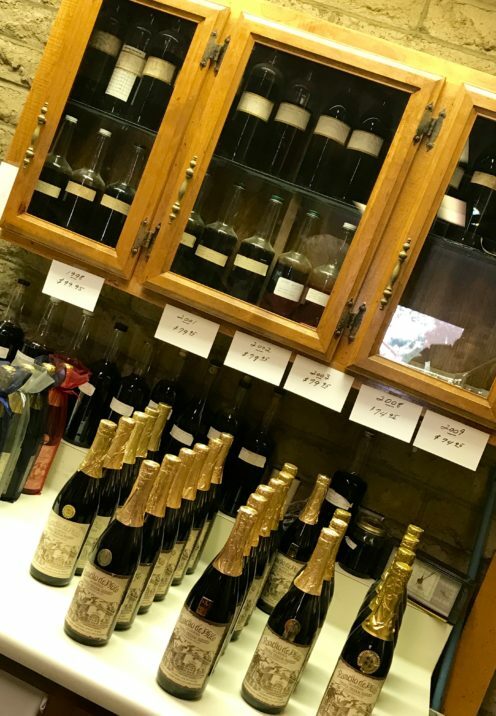 During our visit we got to view a case containing dusty bottles of every single vintage produced over the course of the winery’s 57 year history. Rancho de Philo Sherry is made using Mission style grapes grown on the property. Mission grapes are Southern California’s original grape, brought in by the Spanish Missionaries. After the grapes are pressed the juice produced is allowed to ferment until it reaches 16% alcohol. 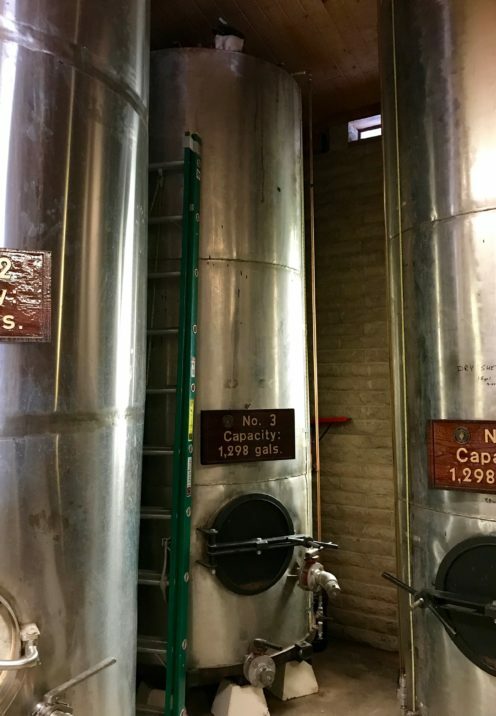 Next, grape brandy is added to stop the fermentation and it is then transferred to insulated steel tanks where the temperature is set at 120° and the wine “bakes” for several months. It is checked regularly and when the wine starts to turn brown and gets hazy, that’s the beginning of the sherry creation. Finally, the Sherry is transferred into 50 gallon oak barrels where it is aged and blended. We came away with bottles of 3 vintages, each Double Gold Metal Winners. We’ll be sharing some of this delicious sweet sherry, a dessert wine, with our family at Thanksgiving. 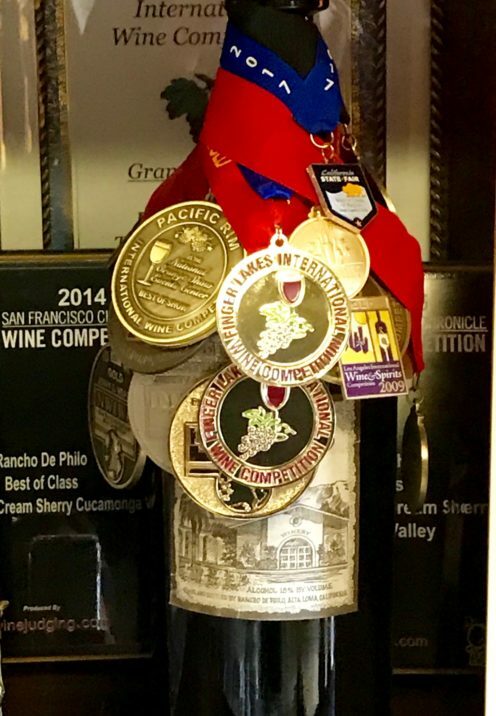 If you’d like to visit Rancho de Philo Vineyard & Winery you’ll have to act quickly. The annual Sherry Tasting and Sale takes place only until November 19th. They are open from 9am to 5pm daily or until they sell out.